The Ibanez AS73-TBC Semi Acoustic Guitar, Tobacco Brown serves up classic hollow-body tones for blues, jazz, country, rock and jazz. Players will appreciate the diversity of sounds available as well as the impressive sustain and tuning stability. 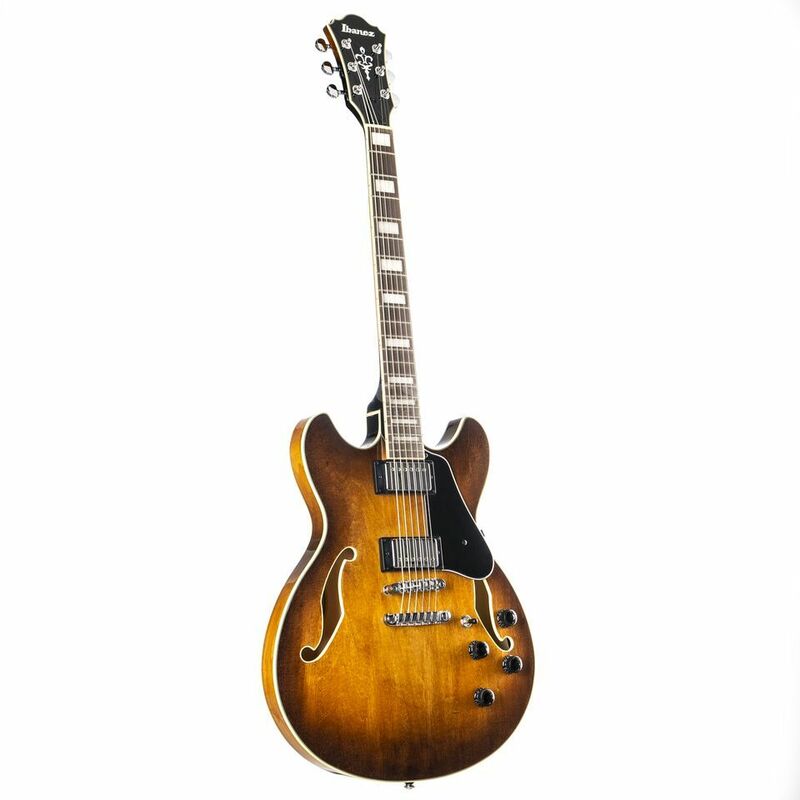 Premium features include a mahogany set neck, Maple top, back and sides, bound Rosewood fretboard with pearl dot inlays and medium frets, Quik Change III tailpiece which enables faster and easier string changing, Super Grip III control knobs designed for non-slip functionality and ACH1 and ACH2 pickups.